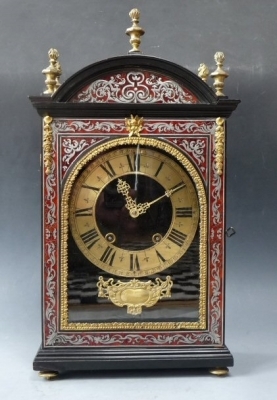 Early Pendule Religieuse, French mantel clock by Claude Mounier à Paris, circa 1680. 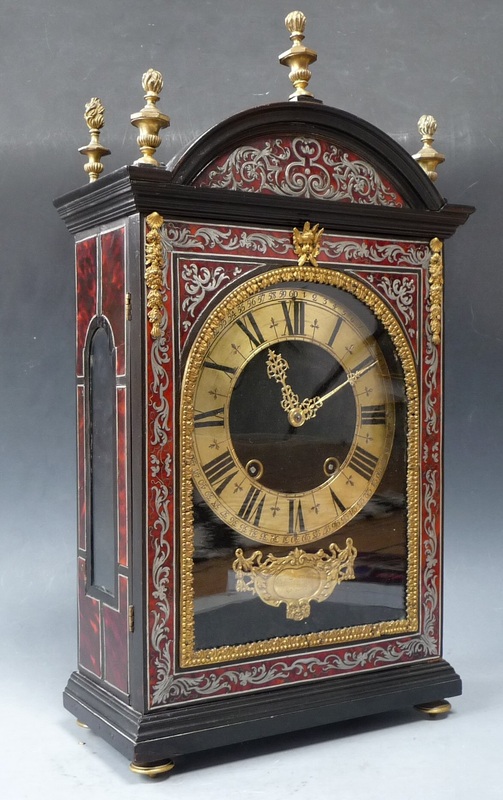 Clock case with red turtle veneered, with ebonized parts. Decorated in the Charles Boulle technique, intarsia with tin gives shape to detailed curling decorations on the frontside. 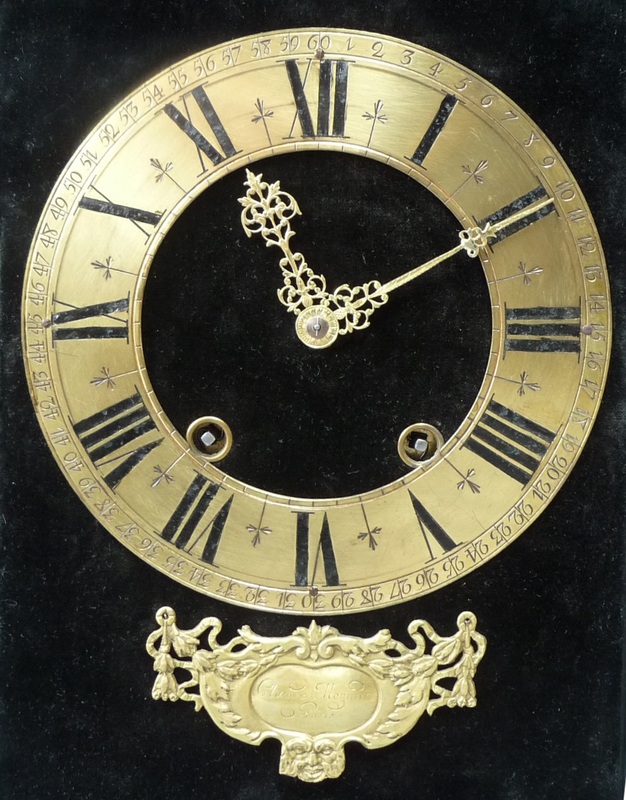 Gilded bronze frame around the gilt brass hour dial. A dark color velvet fabric creates a fitting background. Gilt hands and gilt cartouche with the maker's signature are a nice contrast. 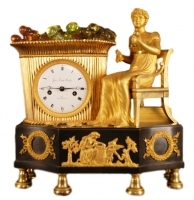 On top of the case five gilded finials. 8-day movement, a Brocot escapement is applied. 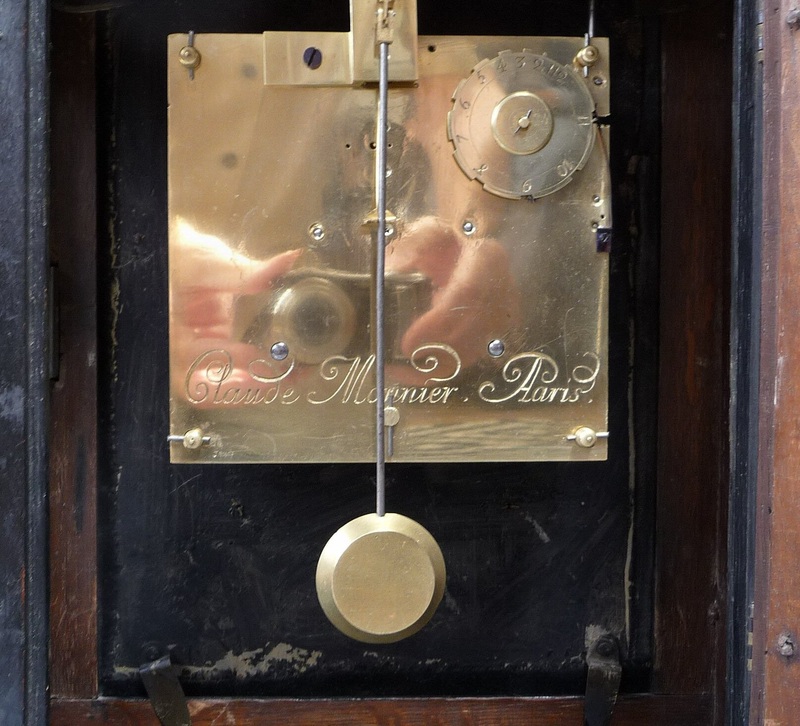 Striking mechanism for striking on a bell the hours and half-hour. Clock has a small handle to turn off the bell at night. 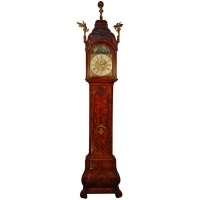 Refined clock from the 17th century with precious decorations, gilded ornaments and a quality clockmouvement. Tardy: Dictionnaire Des Horlogers Français, page 480, Claude Mounier 1656. Plomp, Reinier. 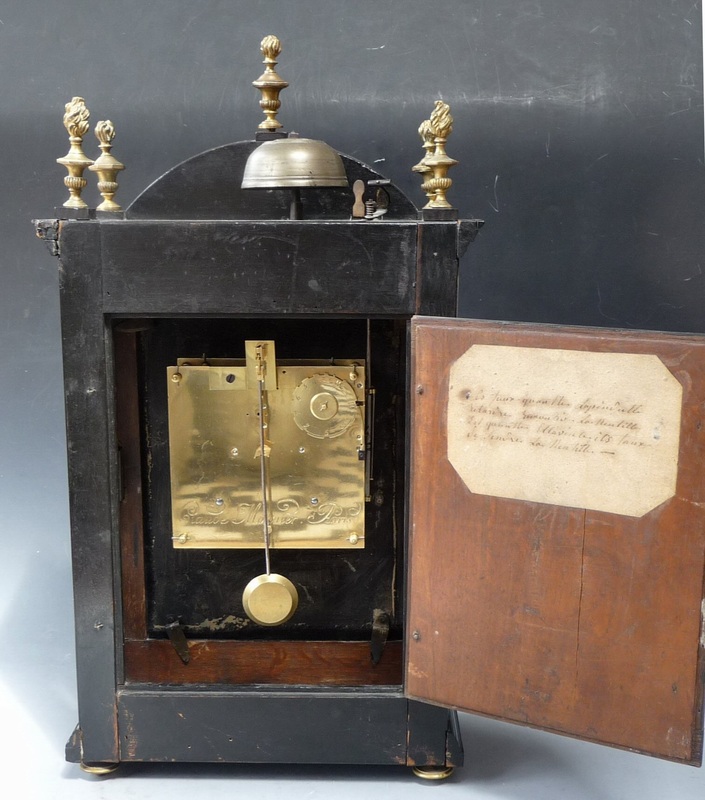 Early French Pendulum Clocks, 1658-1700 known as Pendules Religieuses, similar clocks on page 93.